Carol Douglas’ voice wavers slightly and trails off when she speaks about her niece, Monica Still Smoking. 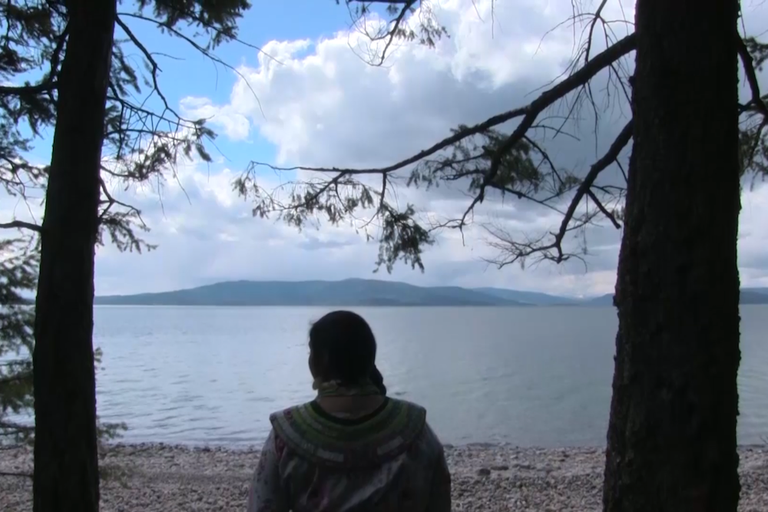 Douglas, a member of the Blackfeet Nation, remembers the exact date her niece disappeared. “It was Dec. 17,” she told me. “Her mother had just bought her a bike for Christmas. Her mom was really excited, because we couldn’t afford things like that.” Monica was 8 years old when she was kidnapped from Napi Elementary in Browning, Montana. “I searched all the hills around the reservation for a week,” her father, Kenny Still Smoking, said. “It was cold.” Her uncle found her body a week later, frozen in the snow on a mountain near Glacier National Park. Her killer was never found. The FBI investigated her case, on the Blackfeet Reservation, for less than three weeks. Monica was just one of an exceedingly high number of missing and murdered Indigenous women and girls. This crisis, short-handed to MMIWG, is well known in Indian Country but invisible outside it, despite hashtag campaigns like #NotInvisible that strive to raise awareness and bring the stories to light. Filmmaker Ivan MacDonald’s uncle Kenny Still Smoking features in the film "When They Were Here." My sister Ivy MacDonald and I have been following the crisis for over a year, working on a film documentary. “When They Were Here” is our attempt to collect the stories of these lost and stolen mothers, sisters, aunts and cousins. We have collected stories around the state of Montana, focusing on oral history, storytelling, and remembrance, all of which are central to so many tribal communities. It is a hard task, but family members tell us that stories of their loved ones honor them and keep their memories alive. The memories are like a shattered piece of glass, each missing piece a shard stolen from a family that is trying to be whole again. The issue was never invisible to my sister and me. Monica Still Smoking was our cousin. She was taken from our family in 1979. We heard stories about her growing up, as family members shared memories here and there, but as children, we knew there was more to the story. Our parents, trying to protect us from the grim truth, would often just share that she had two different colored eyes, one green, and one brown. In this way, our families shared a collective memory that carried her spirit. Storytelling kept her alive. The Montana Missing Persons Clearinghouse, a database created under the Montana Department of Justice, has listings for all of the people deemed missing in the state. There are currently 69 women and girls missing in the state; 20 of them are Native American. Native Americans make up 3.3 percent of the population, but 29 percent of its missing persons. MMIWG stats and data are important, but very hard to come by. There is no universal data collection system for cases related to the crisis. At the state-tribal relations committee meeting in Helena, Montana, on March 29, Annita Lucchesi, a member of the Southern Cheyenne Tribe and a doctoral student at the University of Lethbridge, discussed the lack of infrastructure in data collection systems for law enforcement agencies. She recently created the MMIW Database, which logs cases of missing and murdered Indigenous women, girls, and two-spirit people in Canada and the United States, dating from 1900 to the present. There is otherwise no universal data system that is routinely updated or managed regarding MMIWG. Martia Growing Thunder is featured in the film “When They Were Here,” a documentary film about missing and murdered Indigenous women. So we collect their stories. “In the beginning, it was reported that this housekeeper had been killed,” David Keehner, a member of the Blackfeet Nation, told us. His mother, Lonette Keehner, was murdered by white supremacists at a Super 8 Motel in Missoula, on Dec. 21, 2015. “That’s what was in so many reports, that she was just this housekeeper. She was so much more than that.” David and his sister, Nicole Walksalong, have been sharing their mother’s story since her murder. When we interviewed Nicole and David, we asked them to share stories of their mother and what they remembered about her. They told us stories of her laugh and how she always had a snack waiting for them after school. During the interview, David thanked us for allowing them to share stories about their mother and how she was when she was here. Data, while important, is not what our work focuses on. When we go out into Native American communities, we search for stories. We know that these women and girls are much more than statistics. They were loved, and we honor them by hearing their stories. To truly allow families to remember their loved ones as how they were when they were here. “When They Were Here” is a documentary focused on the Missing and Murdered Indigenous Women and Girls crisis. The last screening of the short film before full production begins in fall 2018 will be at the Crow Agency in Montana on May 9 at 6 p.m. in the Crow Multipurpose Building. Ivan MacDonald is a graduate student at the University of Montana working towards a Master’s degree in Social Work. 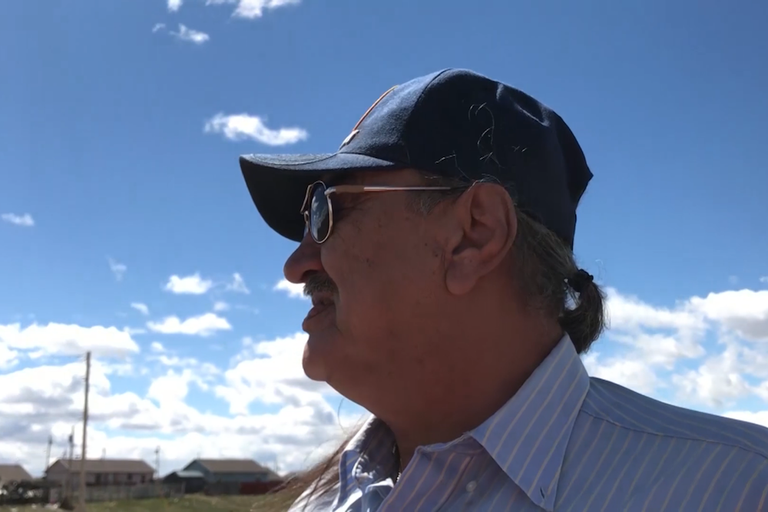 He is Blackfeet and Shoshone, and is an enrolled member of the Blackfeet Tribe, in Browning, Montana. He is currently a research assistant at University of Montana studying re-entry needs for Native American women incarcerated at the Montana Women’s Prison in Billings.